Dr Alex uses this state-of-the-art local anaesthesia system. 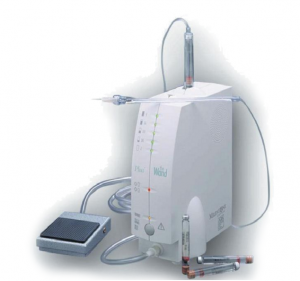 The Wand® is a computer controlled anaesthesia delivery system that provides immediate, pain free dental anesthesia for all injection types. It is revolutionising dental anesthesia by taking away the pain, anxiety, and stress associated with conventional syringes. It makes injections easier and more comfortable. Patients will experience very little discomfort and the ergonomic handpiece is comfortable for the clinician and non-threatening to patients.